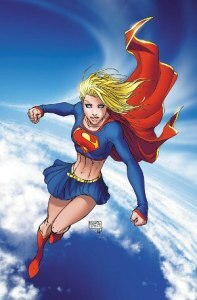 Supergirl (Kara Zor-El) from the cover of DC Comics’ Superman/Batman #13 (2004) by Michael Turner. There has been a commitment announced for a SuperGirl series announced today. CBS has given a series commitment for the series that has been in development by Adler and Berlanti. Between this, the possible Titans series over on TNT, Arrow’s success and the soon to be debuted Flash things are looking good for the comic book tv world! I also really love the idea of a strong female character taking the lead as the hero. So what do you think? Do you think this or the Titans will ever actually see the light of the tv screen? Do you think these or the new Flash have a hope of making it for a whole season or more?